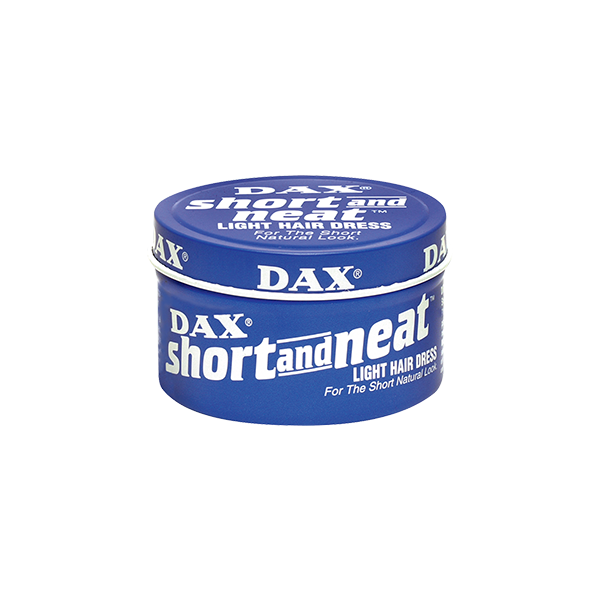 Dax Wax Short & Neat is the perfect light hair dress for the short, natural look. It's enriched with a blend of oils to nourish your hair and add shine. 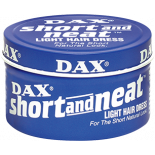 Great for all hair types and short to medium length hair. • Coconut Oil — Excellent conditioner that helps with hair growth and adds shine. • Castor Oil — Contains Omega-9 fatty acids that help nourish hair and prevent dryness. • Mineral Oil — Helps minimize frizz and enhance curl. Adds shine.